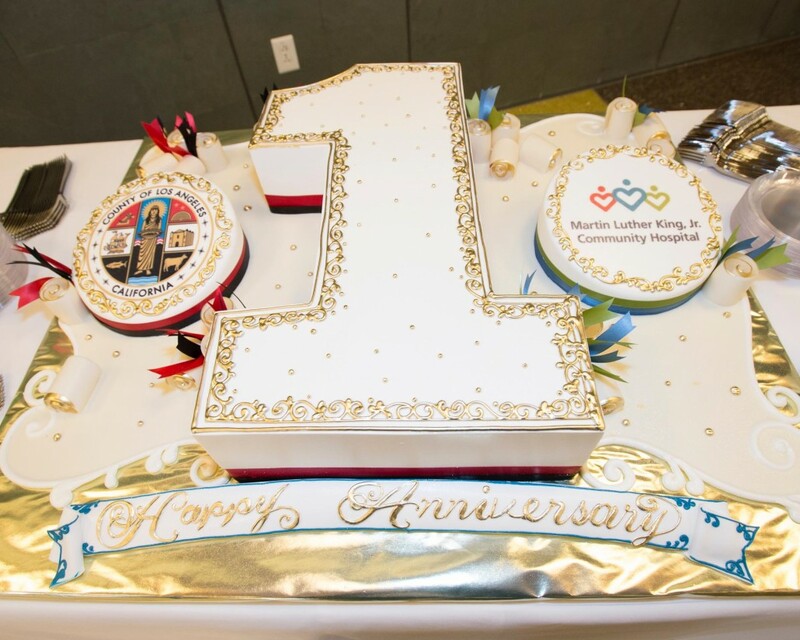 Supervisor Mark Ridley-Thomas hosted medical campus leadership and staff for a celebration of the First Anniversary of the Martin Luther King, Jr. Community Hospital. “Employees and the staff here matter,” the Supervisor said. The 131-bed community hospital opened its doors last month, eight years after the closure of the King/Drew Medical Center. Its mission: providing compassionate, innovative and quality care to the 1.35 million residents of South Los Angeles – regardless of their insurance status or ability to pay. “We can celebrate a gorgeous building with 60,000 patients coming through the emergency room every year,” said Manuel Abascal, chairman of the hospital’s Board of Directors. Los Angeles County invested $284 million to build the hospital, and provided another $171 million in startup funding before handing off responsibility for day-to-day operations to the private nonprofit Martin Luther King, Jr. Los Angeles Healthcare Corporation. “I’m so proud of all of you for making this dream come true,” said Dr. John Fisher, Chief Medical Officer of Martin Luther King, Jr. Community Hospital.